Well! Just as I was getting a project set up in my basement (not a perfect space, but COOL), the temperature dropped. Perfect weaving weather. I am working on M’s & O’s Towels, as promised for the F & B sale, and getting ready for the Wool Show, at the NW Washington Fair. 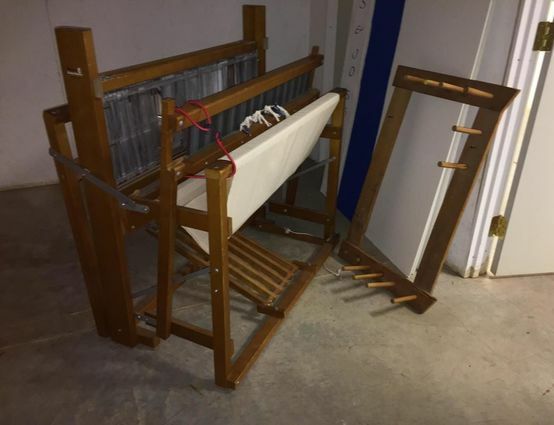 On my “bucket list” for several years now has been setting up a full-size standard Swedish floor loom, and weaving in public. This year, it’s happening, at the Fair! 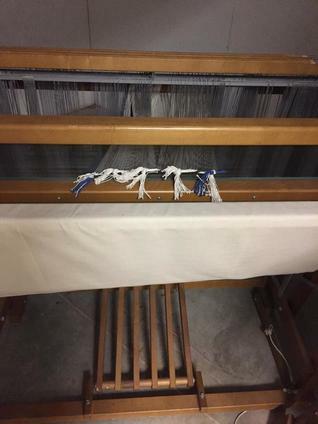 For warp, a 2-ply cream-colored wool, at 10 ends per inch; for weft, a rustic handspun gray single-ply, that looks to weave up at 5 picks per inch, for a cozy drape. 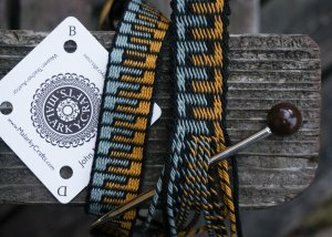 The weave, two-inch wide herringbone stripes. 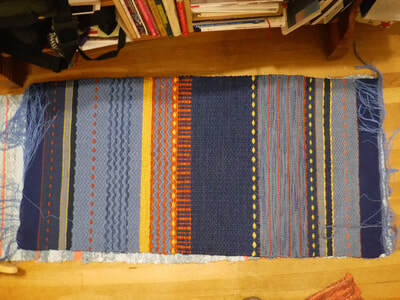 There is enough yarn for two 32-inch wide by 2-yard long throws. Can this be done in a week, while explaining the process to the public? Come by the Wool show and see how it’s going. PS. Registration for Fibers & Beyond Workshops at the Jansen Center (October 10-13) is now open to the public. If you meant to register early and haven’t done so – it’s time! 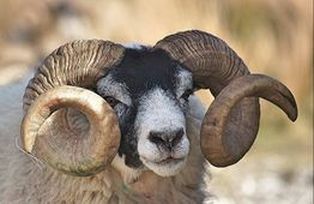 Get in on the fun, by volunteering to help with the Wool Show, and the F&B conference and sale. ​Come to the Wool Show at the NW Washington Fair – WWG won’t meet in Bellingham on our regular meeting day, because we’ll be at the Fair! 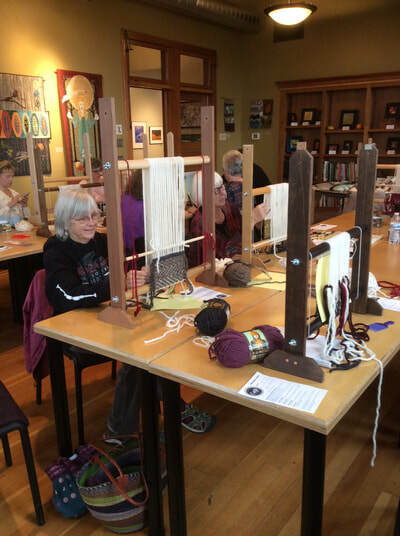 Sign up to weave, spin, greet, work with kids, any day or days of the week, or even be “superintendent for a day” - and be sure to enter your woven, knit, crochet, spun wool, silk, alpaca, llama, yak…any animal fiber in any technique can win a blue ribbon! On July 21, 2018, a group of us took off for our annual field trip to Maiwa on Granville Island, where Charllotte Kwon graciously shared her collection of textiles with us. This year, she showed us quilted pieces from various regions of India, and a few pieces of intricately embroidered work that had us all in a state of awe. As always, the stories of the regions and the people were interesting, and the hand work of the artisans was exquisitely beautiful. Thank you Charllotte for another wonderful adventure! Enter online now, through August 4. Deliver work for judging Friday August 10 3-7 pm. Volunteer to help with set-up and demonstrations during the week of the Fair. The WWG Annual Sale will take place on Saturday, October 13, at the Jansen Art Center, in Lynden, WA. All are encouraged to put on a warp for towels, runners, rugs, and more. Quality and style in woven, knitted, felted, and hand-dyed items were all in demand by an appreciative public in 2017. This is a fun and lively all-hands event, with volunteer and demonstration opportunities for every interest and skill level. Please view our acceptance criteria and entry form. Workshop registration is now open! You can register through Jansen Art Center's website by clicking here. Registration is no longer restricted to WWG members, it is open to the public. Be sure to register soon, to guarantee your spot in the workshops. And, of course, the guild sale on Saturday. Many thanks to Sharon Allen and the Peg Templeton fund for underwriting the John Mullarkey workshops to help reduce the price. At the June guild meeting, we’ll have bookmarks and posters for you to distribute to your friends. In the meantime, keep creating your wonderful items for the exhibit and sale! ​Whatcom Smart Trips is hosting a guided bus trip on the city bus to Lynden to view the exhibit on Wednesday, September 12th. The group will meet at the Smart Trips office downtown at 314 E Champion St at 10:10am. From there, we'll walk 2 blocks to the Downtown Bellingham Station and catch a bus to start our trip. We'll arrive downtown Lynden at 11:24am. Participants can view the exhibit and buy lunch downtown if they like. The group will return to Bellingham by 2pm. The bus trip is free of charge but participants pay for their own lunch. WWG members are welcome to invite friends to come along. Space is limited. Call Smart Trips at 360 756-8747 to reserve your spot or with questions. Spin-Knit nights, 3rd Thursdays of the month for June through September, 6-8 pm; $8 drop-in, $40 for an 8-session punch card. 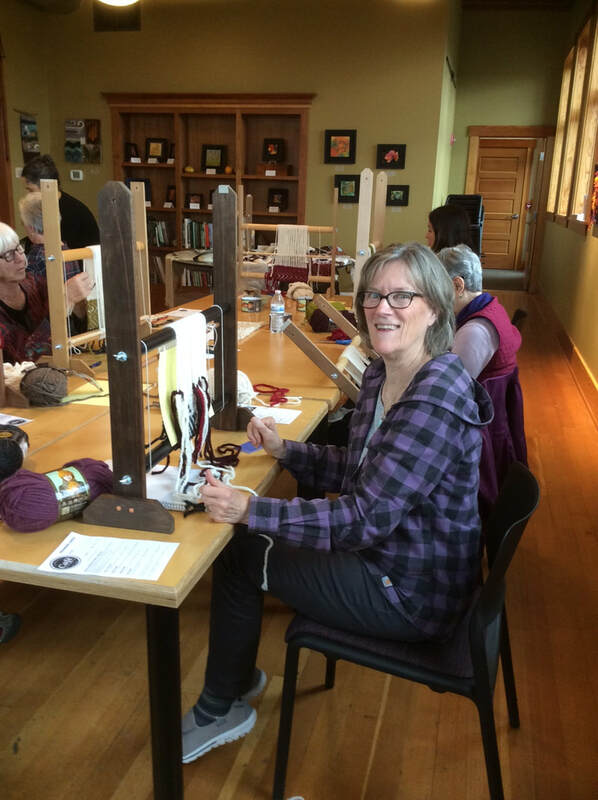 Whidbey Weavers Guild has 5 opening for Janet King – 3D Felting: Tips, Tricks and Techniques for Fabulous Art. Contact Jodi Welliver at jodiwell@comcast.net if interested! 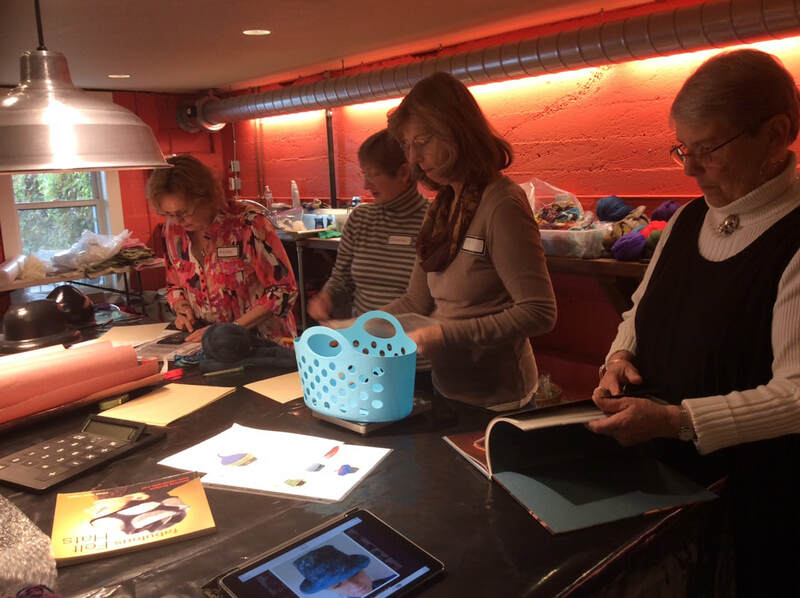 Expand your artistic horizons by learning how to create hollow felt forms like bowls, pods and freeform sculptures. Then kick that up a notch by learning how to embed things like stones, glass and metal into your felt structure as well as creating protrusions like spikes, loops and cords. 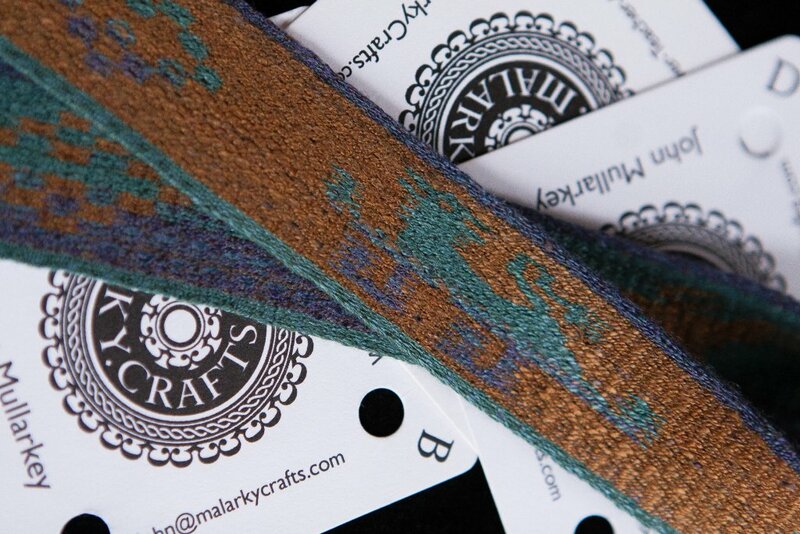 Add interesting yarns, locks and silk if you like. Experiment by layering your wool around resists that will later reveal areas which you can carve, bead or cut for intricate detail. Please note: Registration must be accompanied by a non refundable $75 deposit. By registering for a workshop please understand that you have made a financial commitment to the entire cost of the workshop. If you cancel and you are unable to find a replacement from either, first, the waiting list or, second, your own efforts you will still owe the Guild the remaining cost of the workshop. Fairly, as we only break-even on our workshops, this remaining amount should not be incurred by the other participants in the workshop. Bio: Janet King was born and raised in the Northwest and taught public school for 20 years throughout the United States after graduating from Montana State University in Bozeman, Montana. After retiring from teaching, Janet began creating jewelry and felted art. 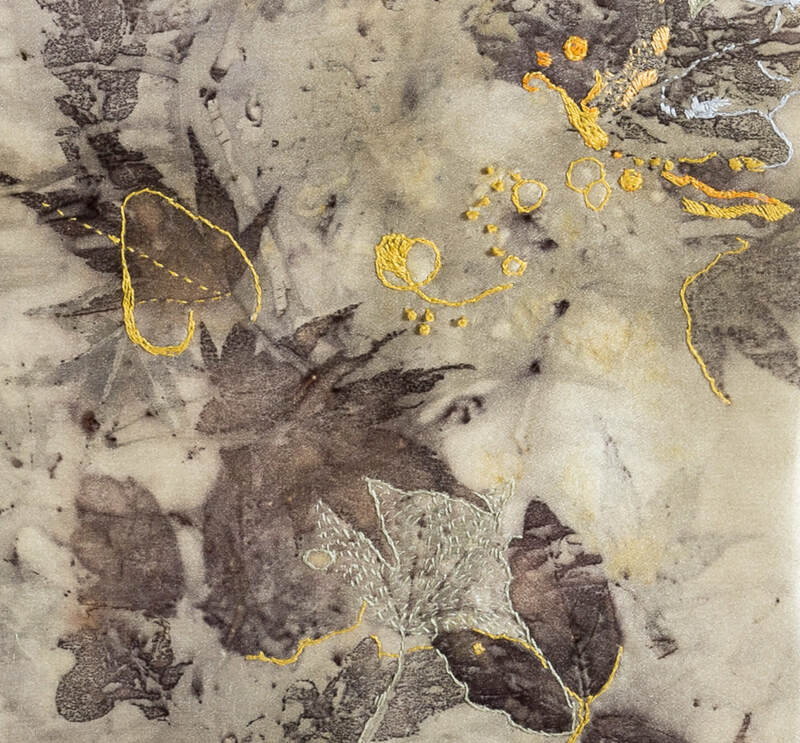 She received a scholarship to the Pacific Northwest Art School in 2010. 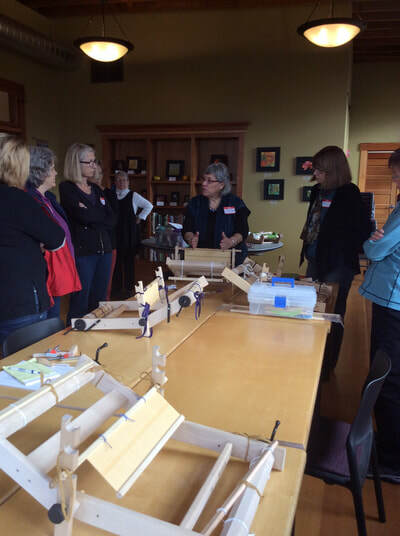 She moved to Idaho in late 2010 and in 2012 opened an Art Studio & School in Coeur d’ Alene. In 2013 the studio was relocated to her home on Lake Coeur d’ Alene. 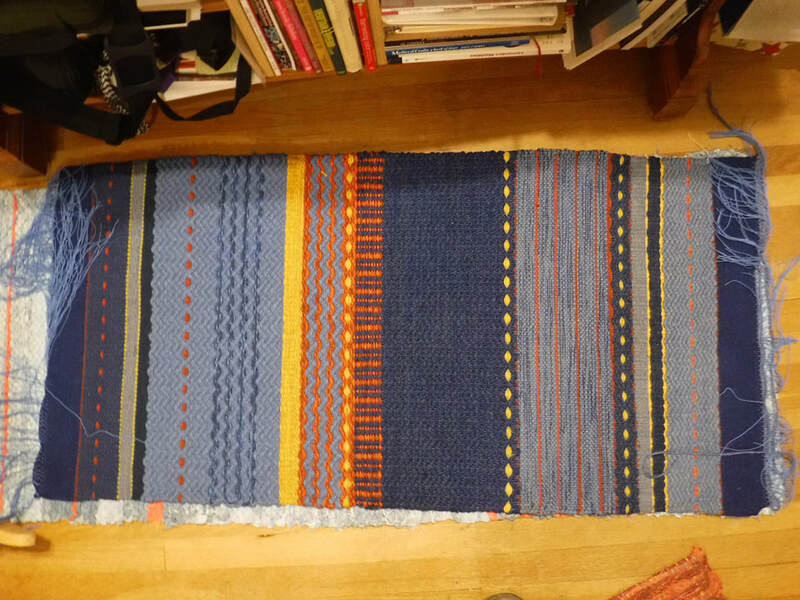 In early 2014, Janet and her husband made the leap and moved to Coupeville, Washington where she joined the Surface Design Association and the Whidbey Weavers Guild. Come to the Wool Show at the NW Washington Fair. Summer is on its way at last and that means it’s time for all of you who love working with textiles to participate in the NW Washington Fair in Linden, August 13-18. There are two exciting ways to be involved. Enter: Whatever textile art you do: knit, crochet, spin wool, silk, alpaca, llama, yak…any animal fiber in any technique, you can win a blue ribbon! To enter online now through August 4 go to the Northwest Washington Fair website (nwwafair.com) Click on Fair & Rodeo, then Fair Exhibitors Guide and Premium Book, then Open Class Departments, then scroll all the way to the bottom of the page and click on Wool. Or you may deliver your work for judging at Northwest Yarns in Bellingham or at the Rotary Building at the Fairgrounds on August 10 from 3-7pm..
Volunteer: Volunteers are needed to demonstrate and/or simply be on hand to greet visitors and help promote textile arts and the Guild. Volunteer for any shift(s) (9am to noon, 12-4, 4-7). 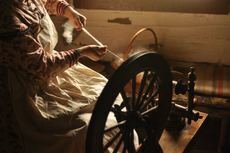 We know for sure we will want people to weave, spin, knit/crochet, make tapestry, dye fabric or wool, felt, and/or work with kids (of all ages) to introduce them to any the above. To volunteer, please contact Marilyn Olsen, (Marilyn.Olsen44@gmail.com) and let me know what you’d like to do. And don’t be surprised to get an email from me soon that will make it ever so easy for you to select the time(s) you’d like to volunteer. Note: WWG won’t meet in Bellingham on our regular meeting day (August 18), because, like you, we will all be at the Fair -- enjoying a Moowich! 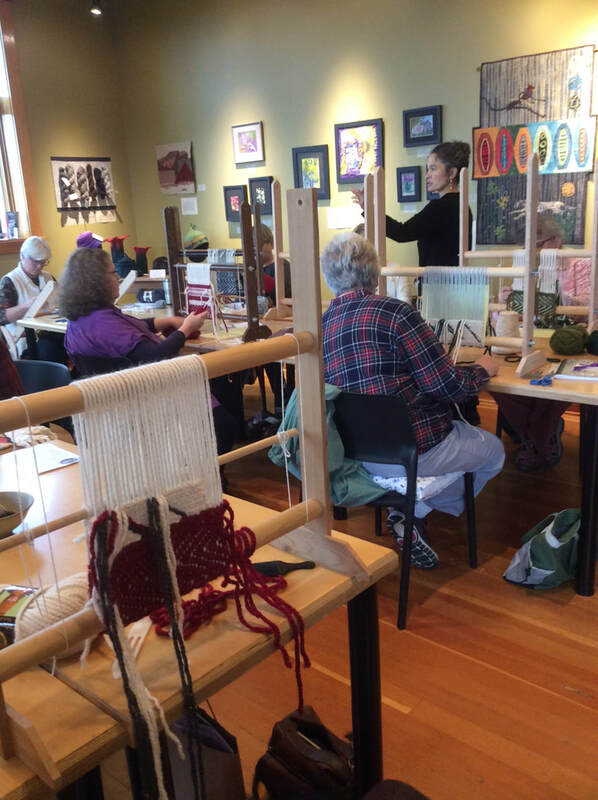 Whatcom Weavers Guild and the Jansen Art Center Textile Group are excited to offer a two day workshop given by Anita Mayer on Friday and Saturday, 9/7 & 8, 2018, from 9am – 4pm. Class fee is $240 plus $30 lab fee. This is an opportunity to spend two wonderful days as she leads you through “Creative Clothing from Simple Shapes”. 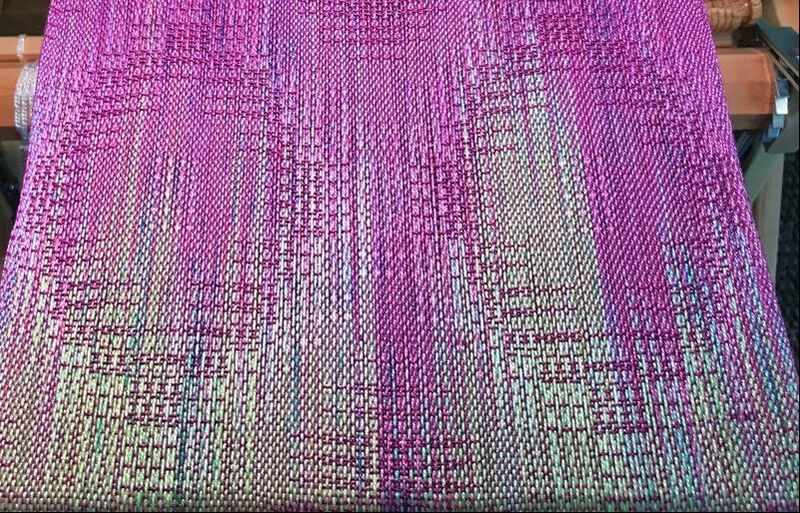 This comes in time to create a beautiful garment to wear for Fibers and Beyond Conference and Sale in October. 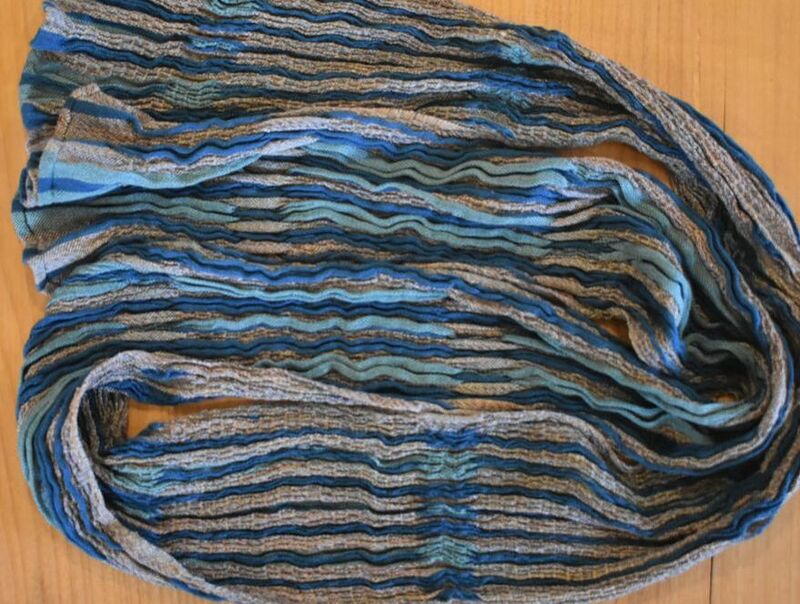 This workshop presents the methods for creating wearable, handwoven, contemporary garments constructed from simple shapes. 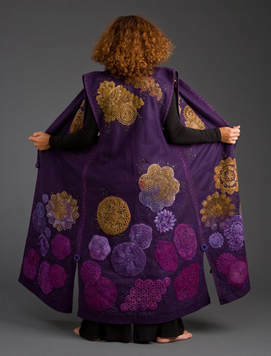 The workshop includes the style of garment, fit, color choices, suggested weaving fibers, and pattern drafting along with methods of edge finishes, joining, linings, and embellishments including shisha mirrors, contemporary embroidery, cords and beading, and a joining stitch (faggotting) along with a crochet join. The instructor’s wardrobe of vests, kimonos, shawls and tops will be available for participants to examine and try on with time to copy patterns. These garments do not involve tailoring or sewing skills and are for “real women” of various sizes who want clothing that is stylish and comfortable. For more information and to register please click here. You may also contact Joan Cunningham 360-733-8820 for additional information.